Luxury 1.5 Story home with premium finishes and upgrades throughout! Main level features a large eat-in Gourmet Kitchen with stainless appliances, large island, copper farmhouse sink, granite counters, backsplash, counter and bar height seating, butlers pantry with wine fridge and a walk in pantry. Kitchen is open to a beautiful hearth room with gas fireplace and built-ins. Master Suite with soaring ceilings, spacious walk in closet, and a luxurious master bathroom with large vanities, tile shower and beautiful tub and surround. 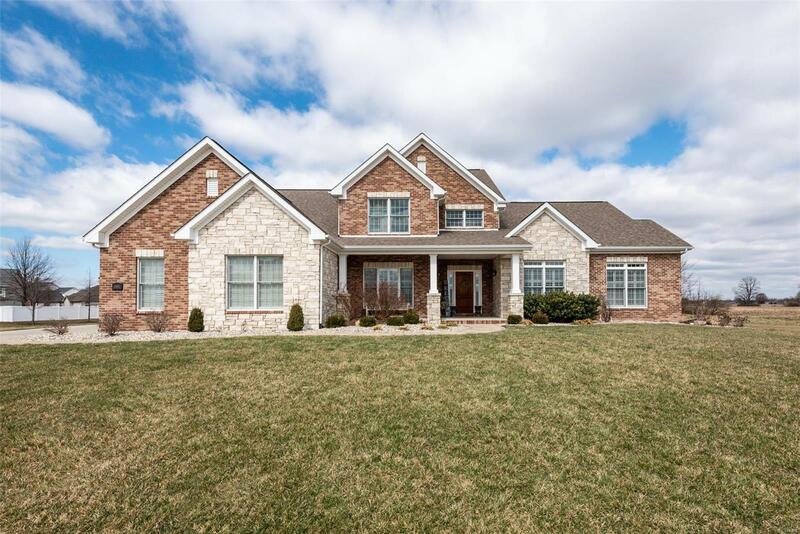 A 2 story great room with another gas fireplace and built-ins, a large office with built-ins, separate formal dining, half bath and laundry room with cabinets and lockers complete the main level. Upstairs is a loft and three more bedrooms. One has an on suite full bath and the other two share a jack and jill bathroom. A beautiful covered patio with stone fireplace and outdoor television complete this spacious backyard. Sprinkler system, surround sound.